English fashion and beauty blogger Amy Valentine featured our ring on her Instagram Page here! English Blogger A N N A M .A H M A D featured our Rings in her Instagram Page here! Austrian Blogger Nena Ngyuen featured our Necklace and Ring in her latest blog post here! Germany-born Marie-Louise aka Styleboulevard shot some beautiful photos of one of our bracelets which you can see featured here and here! The ever-lovely Lourene featured our Crescent Floral Statement Bib in her latest blog post. Check out how she styled it over on her blog post here! Blogger AmandaChic featured some of our bestselling necklaces here, here and here! She also featured the photos on her Instagram, seen below. The lovely people at Pocket Highstreet have chosen Urbiana as one of the 8 best stores in their 'Best of Shoreditch' campaign! Check out the video below and the blog posts here and here. The incredible Shope Delano, aka one half of sassyBLACK, featured our Hamsa necklace in various different blogposts! Check out her blog posts featuring Urbiana here, here, here, here and here! Leigh-Anne Pinnock posted a few photographs of her #OOTD over on her Instagram, featuring our very own Shell Evening Bag! Check the photos out here and here. Our favourite blogger Linda Hyh featured us on her blog! Check out the Urbiana-featured posts here and here. The effortlessly stylish Alessandra featured a few of our pieces in some wonderfully-styled shots for her blog. Check them out here and here! Blogger Lotta featured our Silver Chainmail Hand Harness in her blog post! Check her outfit post here. 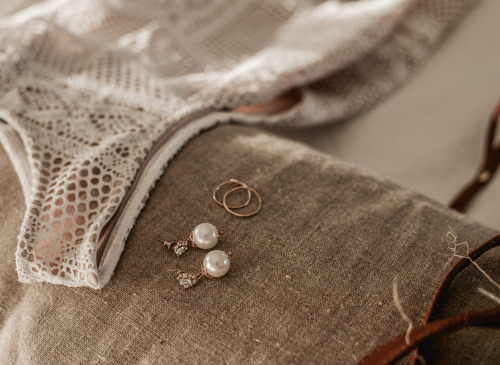 Blogger Elle-May Leckenby featured a pair of our earrings in her beautifully-shot blog post. Check the post out here. 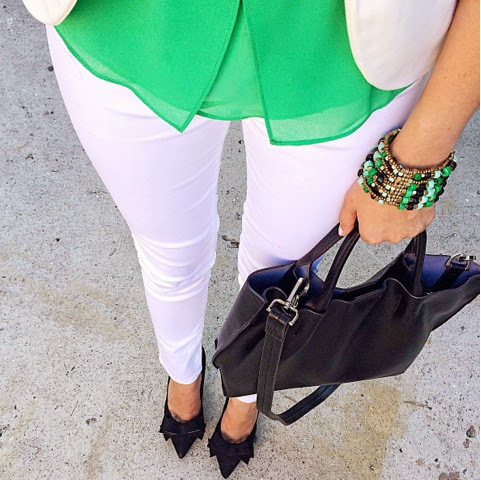 TheStylishSenorita looks amazing in a green ensemble, accessorised with one of our bracelets. Check the post here. Lilli Ludo of Candy & Style has blogged about Urbiana here, here, here & here! Check out her blog at Candy & Style! Here is the original necklace, sorry the earring is sold out! 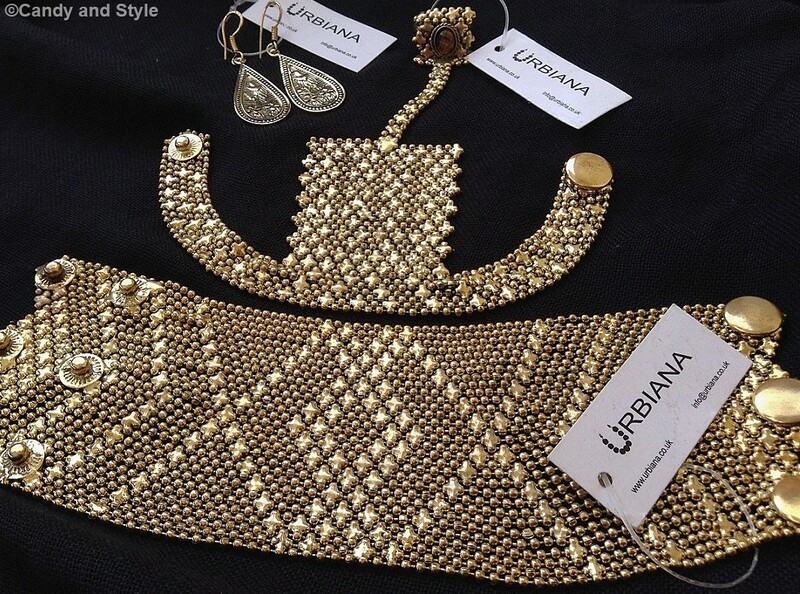 Urbiana offers stunning statement jewellery pieces at affordable prices. 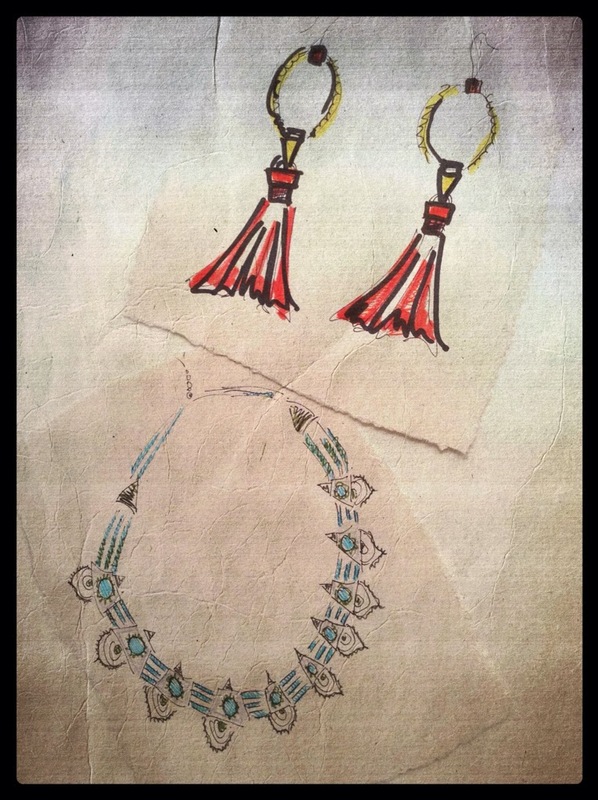 The jewellery is contemporary, feminine and ethnic- meaning we don’t need to travel all the way to India, Tibet and South East Asia in quest for the hidden treasures- instead we can save money and baggage kilos! The necklaces look especially beautiful with button up shirts and oversized sweaters. We recommend choosing the investable dark winter colors and natural browns and nudes with one of Urbiana’s statement necklaces to bring some attitude to your winter dress-code!